Vacations with Character® Blog – Creating Amazing Vacations ~ with Character! Creating Amazing Vacations ~ with Character! Farewell IllumiNations ~ Hello Epcot Forever! Change is never easy and saying goodbye is always hard, especially for us Disney fans. Ending our Epcot nights by watching “IllumiNations: Reflections of Earth” has always been a “must do” in my family. I’m dating myself, but I think I secretly cried back when the Tapestry of Nations parade (later re-themed as Tapestry of Dreams) ended too. I will certainly miss IllumiNations as well; its message about unity, humanity, and the achievements of our time is so beautifully woven into a remarkable story, complete with an amazing soundtrack. What’s not to love?! As torches are lit around the lagoon the show begins with this narration by Jim Cummings. “Good evening. On behalf of Walt Disney World, the place where dreams come true, we welcome all of you to Epcot and World Showcase. We’re gathered here tonight around the fire as people of all lands have gathered for thousands and thousands of years before us… to share the light… and to share a story. An amazing story as old as time itself, but still being written. And though each of us has our own individual stories to tell, a true adventure emerges when we bring them all together as one. We hope you enjoy our story tonight: Reflections of Earth”. Immediately after this, the sound of a flame is blown out, the park darkens, and the show begins. It gives me goosies just thinking about it! Later this year, however, it will be time to say farewell to this old staple as “IllumiNations: Reflections of Earth” will grow dark after September 30, 2019. With a dazzling 20-year run, perhaps it’s time for something new? 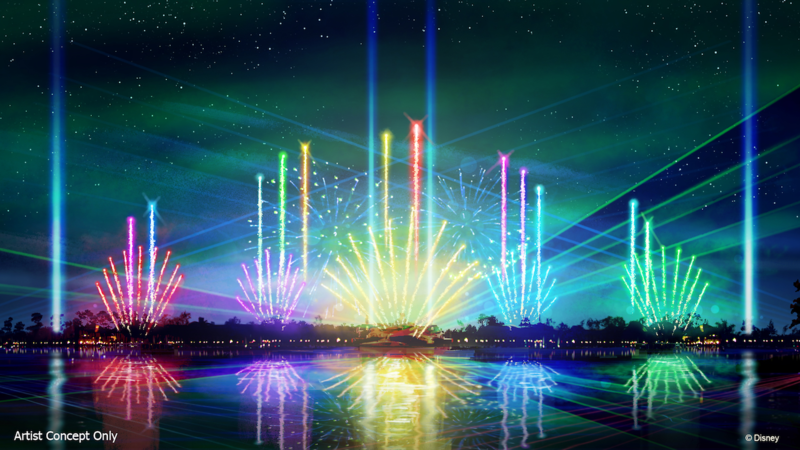 The all-new, limited-time spectacle of fireworks, music, lighting, lasers and choreographed special effects, plus new arrangements of classic Epcot tunes will paint a colorful picture of the park’s past as well as all of the magical possibilities to come. Take a sneak peek! “Epcot Forever” will continue into 2020, when a new epic nighttime extravaganza will make its debut. Stay tuned in the months ahead for more on both of these shows and all the other new experiences on the way. And if you’d like to gather around World Showcase Lagoon this summer to enjoy “Illuminations: Reflections of Earth” one last time or see the all new, breathtaking display of lasers, lights and fireworks in the new nighttime spectacular, #NowMoreThanEver it’s a great time to visit and become part of the park’s unprecedented, multi-year transformation. Contact your favorite Vacations with Character® Travel Professional for a free, no-obligation quote or to book! 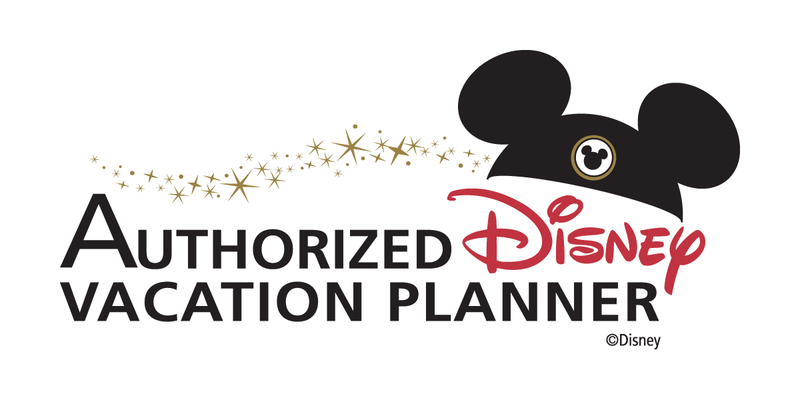 Author AdministratorPosted on April 10, 2019 April 10, 2019 Categories Character Meet and Greets, Epcot, Family Vacations, Florida Travel, Multi-Generational Travel, Multigenerational Travel, Orlando Vacations, Theme Parks, Traveling with Teens and Tweens, Traveling with Young Children, Vacations, Vacations with Character, Walt Disney WorldTags NowMoreThanEverLeave a comment on Farewell IllumiNations ~ Hello Epcot Forever! If you are planning on visiting Walt Disney World Resort over the 4th of July holiday, this event is one you certainly won’t want to miss! Step inside Andy’s favorite play set to join in on a hootenanny with Woody’s Roundup. 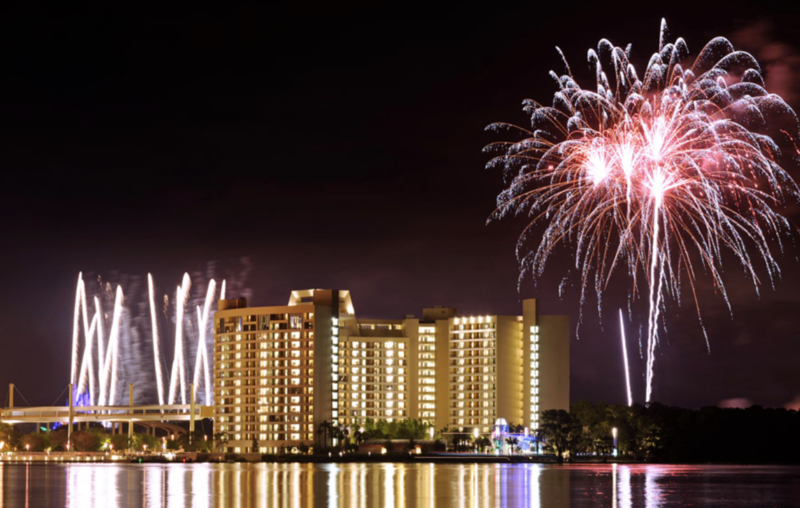 Taking place July 4 – 6, this fun-filled barbecue buffet will be complete with great food, familiar friends, and fun times, all from the comfort of Disney’s Contemporary Resort. It’s a great way to beat the Summertime heat! As you arrive at the resort, Sarge will be there to greet you to make sure you’re in tip top toy shape and ready for playtime. Buzz Lightyear will even be on hand in his own playtime zone and you can hangout with Sheriff Woody, Jessie the Yodeling Cowgirl, and more! Theatrical backdrops, toys, and other fun props will help bring the room to life! This delicious buffet will feature some of the best barbecue outside of the Wild West. Feast on mouthwatering beef brisket, low and slow-smoked pork ribs, and grilled boneless chicken with roasted peach coulis, or take a bite out of a fire-roasted vegetable cake served with chipotle succotash. Create the perfect plate with sides including fresh cornbread (served with honey butter – YUM! ), sweet cream cole slaw, southern-style potato salad, and grilled vegetables with smoked olive oil. Vegetarians can chow down on some warm vegetarian campfire chili or mixed greens with balsamic vinaigrette and roasted pepper ranch dressing. In addition, kids can enjoy their own special buffet featuring items like Creamy Mickey Roni Cheese, chicken fingers, and potato barrels. Try some yummy salted caramel cookie bars, cherry pie shots, or assorted sliced fresh melon. And in celebration of the 4th of July holiday, grab a patriotic Red, White, and Blue Cake Push Pop! Yes! A rootin’ tootin’ DJ will spin Woody’s favorite tunes from a rustic toy set right in the heart of it all. Kids can go have some fun with activities like the Trick Ropin’ Toy, Make-Your-Own Toy Station, camp-style carnival games, and a larger-than-life balloon artist who can recreate their favorite Toy Story characters. And finally, at the end of the night, you’ll be invited out to the Porte Cochére to end the evening with a viewing of the famous Magic Kingdom Park nighttime spectacular. This limited-time event is happening for three nights only, July 4-6, from 6:15-9:15pm each night at Disney’s Contemporary Resort. Space is limited, so be sure to reserve your spot before it’s too late! Tickets are $149 for adults and $99 for children ages 3-9, tax and gratuity included. To make reservations, call 407 WDW-DINE (407 939-3463) or contact your favorite Vacations with Character® Travel Professional to book a package that includes this event! Please note: all menu item and event experiences are subject to change without notice. Space is limited! Your journey will begin with a welcome reception at the Wildlife Express Train Station. There, you’ll receive light hors d’oeuvres, snacks, and beverages (alcoholic and non-alcoholic) while enjoying acoustic music. Afterward, you’ll take a fun-filled adventure to the train station at Rafiki’s Planet Watch, where you’ll be greeted with more light bites and sips. Some familiar friends, Timon and Rafiki, will also be hanging out in the train station ready to meet you with some engaging, fun activities for all ages. 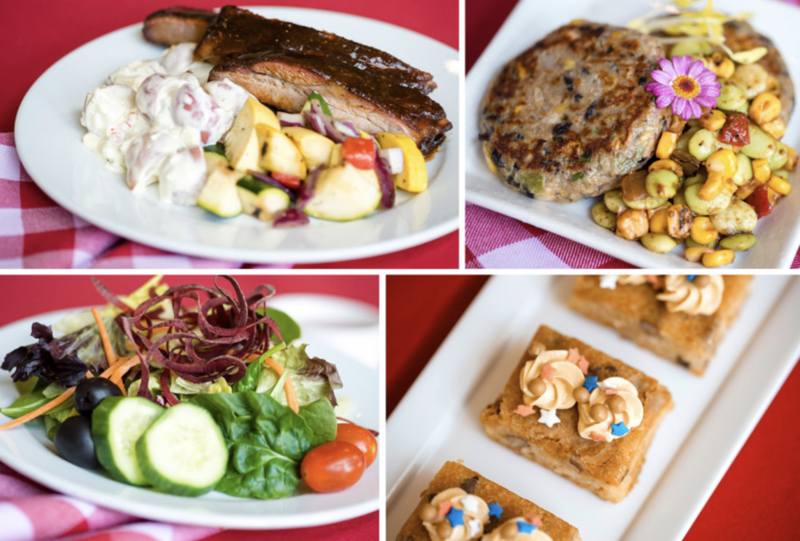 Once you finish up at Rafiki’s Planet Watch, you can hop back on the train and get ready to venture over to Harambe Market for the main event, where you’ll enjoy an array of sweet and savory dishes paired with unique beverages throughout the marketplace. During the night, you’ll take in sights, sounds, and scrumptious flavors in celebration of “The Lion King” and the Big Five game animals: the African elephant, the rhinoceros, the Cape buffalo, the leopard, and our host animal, the lion. Along the way, you’ll learn more about the importance of the Big Five and the challenges they face around the world as well as how Disney is working to protect them. 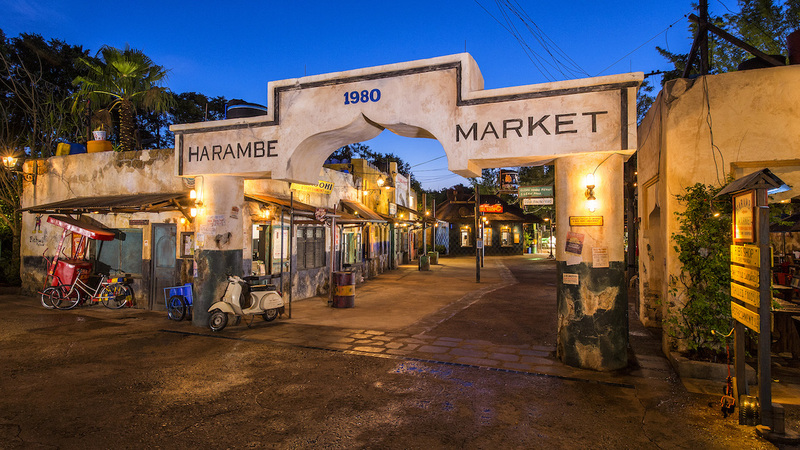 Circle of Flavors: Harambe at Night begins on July 24, 2019, at Disney’s Animal Kingdom. Pricing is $125 plus tax for adults and $99 plus tax for children ages 3-9 and separate park admission is required. Reservations can be made starting April 3, 2019 by calling 407 WDW-DINE (407 939-3463) or by contacting your Vacations with Character® Travel Professional. Years ago, my newlywed husband and I adopted the first of many rescued pets, a greyhound. What an amazing creature! She brought us great joy – and much love. I remember a time when we decided to go on a vacation to Key West. I was so excited — but also very worried about leaving our first “baby”. After all, she had grown to be a member of our family! Although we truly enjoyed our vacation, I simply couldn’t wait to get back home to her and I spent a great deal of time thinking about her and hoping she wasn’t too sad in our absence. If only she could have joined us, the vacation would have been perfect. Upon arrival, dogs and their owners will be greeted with a complimentary Pluto’s Welcome Kit and placed in resort rooms that have easy access to outdoor walkways for exercise plus green spaces with pet relief areas. As for booking a campsite, you may request a pet-friendly loop for an additional fee per night, but please know that pets are not allowed in pop-up trailers or tents! Are you an allergy sufferer? No worries! While certain floors or sections of these Disney Resort hotels are designated as dog-friendly, the majority of areas remain canine-free to protect Guests with allergies. Also, other than service animals, dogs are not permitted in theme parks, water parks or common areas such as restaurants, pools and recreational spaces as well. In addition to pet-friendly accommodations, pets can stay at a charming retreat while you are off having fun in the parks. First-rate accommodations and activities cane be found at Best Friends Pet Care. According to their website, the staff —made up of 45 highly trained pet care providers—are animal lovers, first and foremost and Best Friends Pet Care is open one hour before the theme parks open through one hour after closing. They also offer overnight accommodations! While the facility can accommodate up to 300 dogs, cats and small pets, reservations at Best Friends Pet Care are suggested. If your travels are drawing you over to the Wizarding World at Universal Orlando for some amazing adventures, your pets are welcome there too! Loews Hotels requests all pets to be leashed or restrained at all times in public spaces in the hotel or on the property. Also note your furry friends must be supervised at all times while in the hotel or on the property as well. Pets are not allowed in food and beverage, pool or fitness center areas. Your Pets Can Stay While You Play Too! Loews will help you arrange for a local pet sitting service through the hotel’s concierge or, you can utilize Universal Orlando’s daytime kennel service for cats and dogs, where you’ll never be too far from your furry friend. Kennels open as early as 8 am, with caring staff available until two hours after park close. Need an extended day? Your pet can stay after hours unattended until 3 am. When you’re ready to pick up your pal, simply use the phone located outside of the kennel and a Universal staff member will come by to assist you. They also recommend bringing food, blankets and toys to make your four-legged friend feel at home. While the kennel attendant will supply water and keep things clean, they also ask that you plan to return to take your pet for a walk at least once during the day. You’ll find this safe environment just minutes away from the action, so you can come back throughout the day to check on your pet, drop off snacks or just have a quick cuddle with your cutie. For more information and requirements call (407) 224-9509 or fax (407) 224-9516. Other options are definitely available in and around the Orlando area as well. Minutes ago, Disney Parks, Experiences and Products shared an exciting announcement many of you have been wanting to hear – Star Wars: Galaxy’s Edge is opening ahead of schedule on May 31 at Disneyland® Resort in Southern California and August 29 at Disney’s Hollywood Studios® in Florida. As Yoda once said: “Patience you must have!” and there is one small, important caveat. That’s because this highly anticipated, new and immersive land will be opening in phases. Yes, you read that correctly. So, if you are planing on taking part in this unique and amazing experience, but only have one shot at visiting, you may want to wait just a little bit! On opening day for phase one, you’ll be able to live your own Star Wars story and take the controls of the most famous ship in the galaxy aboard Millennium Falcon: Smugglers Run. Amazing galactic food and beverages will be available, and you can explore an intriguing collection of merchant shops and more. For phase two, Star Wars: Rise of the Resistance, “the most ambitious, immersive and advanced attraction ever imagined”, a date has not been set, but is said to be opening later this year. 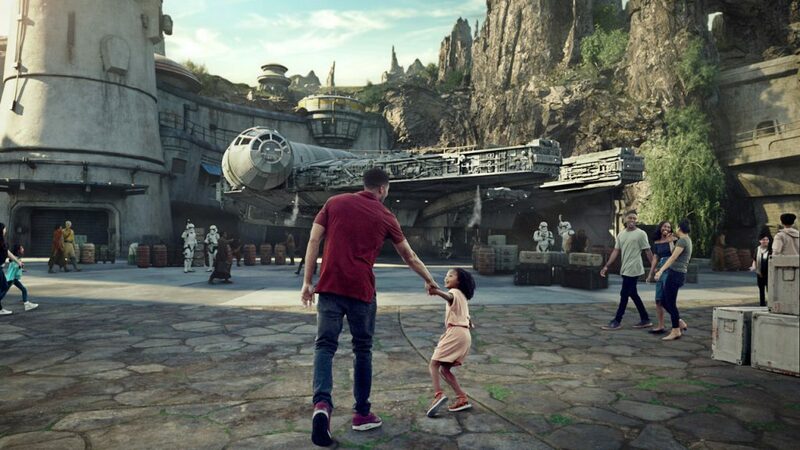 Land Entry: Because of anticipated galactic excitement during the opening months this year, Disney is planning ahead to deliver the best possible experiences for guests. Star Wars: Galaxy’s Edge will be open during normal park operating hours. It will not be included in Extra Magic Hour or Magic Morning at Disneyland Park. It will be open during Extra Magic Hours at Disney’s Hollywood Studios. Attractions: Disney FASTPASS service, including access via Disney MaxPass, (at Disneyland Park) and Disney FastPass+ service (at Disney’s Hollywood Studios) will not initially be offered at Millennium Falcon: Smugglers Run. Disney will continually evaluate operations and services in order to help provide a great guest experience. Ride Height Requirements: In addition to today’s announcement, Disney has also unveiled the height requirements for both attractions. At Millennium Falcon: Smugglers Run, guests must be 38″ or taller to ride. Once it opens, the height requirement for Star Wars: Rise of the Resistance, will be 40″ or taller. More Exciting News: A Star Wars resort IS in development for the future at Walt Disney World Resort. Stay tuned for more details. Planning a normal vacation to Disney is overwhelming…planning a vacation to Disney and Star Wars: Galaxy’s Edge will be even more more so. At Vacations with Character® we are “Where the Fun Begins” and we’ll take the worry and stress out of planning your adventure! Our services are FREE, but you’ll receive expert guidance, tip sheets, itinerary planning, help with dining and fast pass selections, plus more. Visit us at www.vacationswithcharacter.com to request a quote from your favorite Travel Professional and stay tuned to our Vacations with Character® Blog for upcoming information! There is nothing like sailing with Disney Cruise Line. It’s no wonder praises and awards abound! Especially designed with families in mind, these elegant ships effortlessly blend family-friendly experiences, superb entertainment, immersive, one-of-a-kind experiences, and splashes of magic — all with the attention to detail Disney is known for. 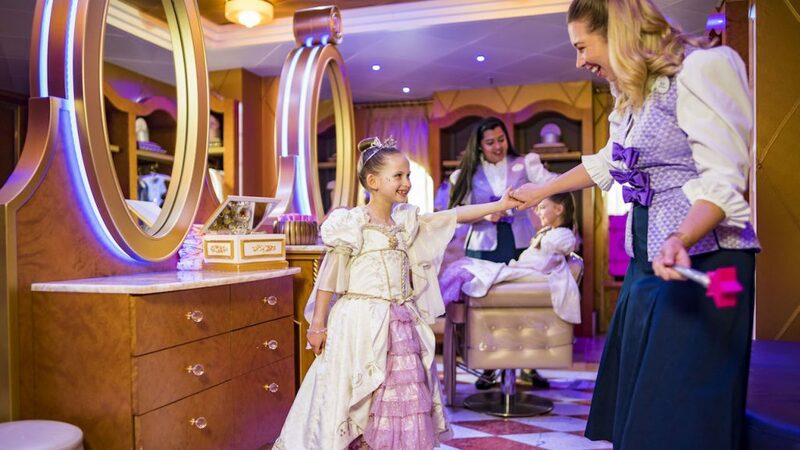 Bibbidi Bobbidi Boutique is one such experience offered onboard. Here, your princesses and pirates can get a makeover unlike no other! And recently making its debut to all four Disney Cruise Line ships is a new Signature Rapunzel Makeover Experience. Truly fit for royalty, little princesses will be dressed in a stunning, heirloom-quality gown featuring a latticed bodice and rich fabrics. To complete the look, Fairy Godmothers-in-training adorn each with a crystal tiara, a gold-plated sun pendant necklace, and a gold-plated and sterling silver bracelet with pink, purple and white Swarovski stones. Add the princess shoes and sash, imperial hairstyling, nail polish, shimmery makeup and sparkling face gems, and the royal transformation is complete! This new Signature Rapunzel package also includes an ultra-luxurious white robe with lavender trim and crown embroideries, plus an organza garment bag and a satin hanger. This package costs $450 per princess and other packages are available. Makeovers at Bibbidi Bobbidi Boutique can be booked online in advance of embarkation or onboard the ship during a cruise. Calling all Muggles! We hope you’ll be as excited about this as we are because something amazing is coming to Universal Orlando and the Wizarding World of Harry Potter! For the first time ever you can join Hagrid, the Care of Magical Creatures Professor at Hogwarts, on an adventure that takes you far beyond the grounds of Hogwarts Castle and into the paths of some of the Wizarding World’s most interesting creatures. 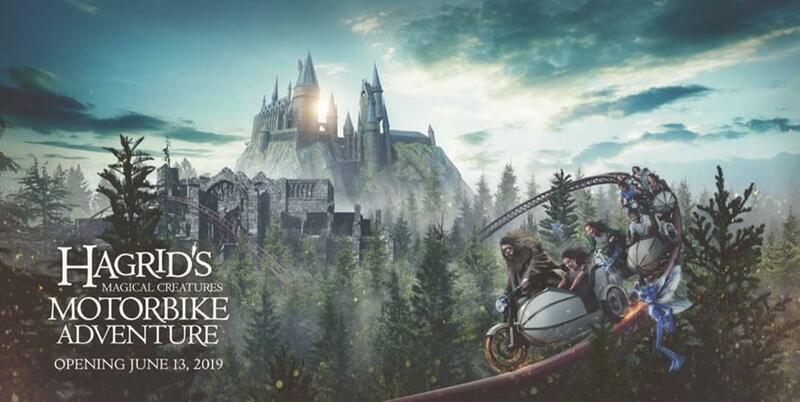 This amazing, thrilling coaster ride replaces Dragon Challenge and will be opening June 13, 2019 in Universal’s Islands of Adventure theme park. Vacations with Character is an Authorized Universal Orlando Preferred Partner and let me just say, we ♥♥♥ Universal Orlando! Contact us and we’ll prepare a vacation you’ll remember and may even save you money…money you can spend on things like a #Butterbeer or a Wizarding Wand, like Harry’s! Don’t forget to ask about our special promo ticket where you’ll Buy 2 days and Get 2 Days FREE (valid until June 30th)! Our services are also FREE but you’ll receive tip sheets and expert advice when you book with us – plus more. Visit us at www.vacationswithcharacter.com for more information on Universal Orlando or to book today! Around here, we’re all about characters! ♥ Please enjoy this summary of all the latest and greatest news and character happenings provided to us from Disney Destinations. 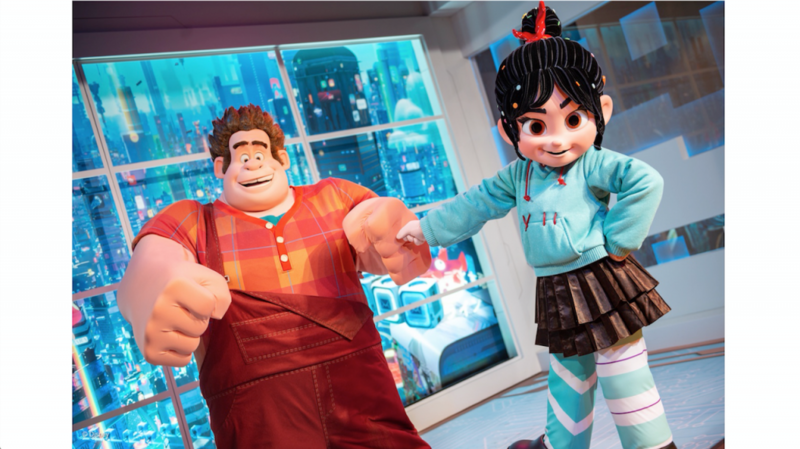 As previously reported, Ralph and Venellope have been meeting their fans since last fall at Epcot, but you can now find them in their new location where a portal has opened a window on the internet for them to step through…right into the ImageWorks area of the Imagination! pavilion at Epcot®. 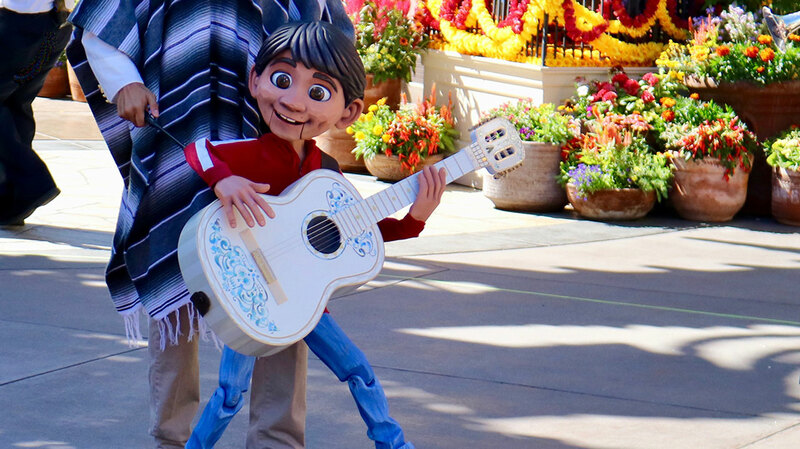 Beginning March 6, 2019, the tender story and vibrant music of Disney•Pixar’s “Coco” comes to the Mexico pavilion, courtesy of the Mariachi Cobre. The talented musicians of Mariachi Cobre are joined by a pair of Folklórico dancers to tell the tale of Miguel Rivera, his love of music, and his journey to find what matters most – his familia. Find fun photo ops and evidence of young Jack-Jack. 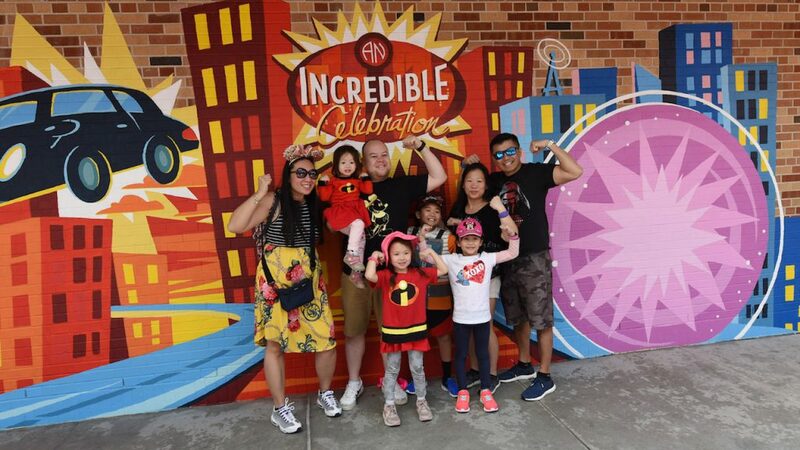 Explore The Edna Mode Experience and meet Edna Mode herself. Step through a door to the monster world to say hello to Mike Wazowski and James P. Sullivan on the Scare Floor of “Monsters, Inc.”. 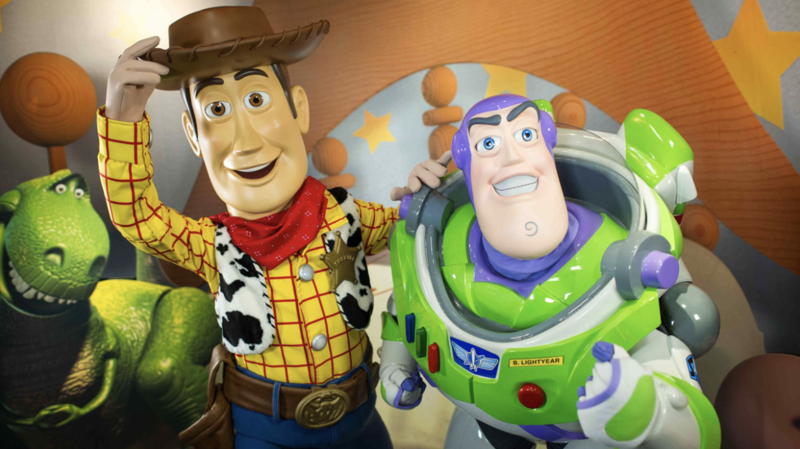 Visit Toy Story Land where you’ll encounter Buzz Lightyear, Woody and Jessie, and just might get caught up in a game of “Sarge Says” with the Green Army Patrol. Plus, starting March 31, 2019, the world of “Cars” is coming in the form of Lightning McQueen’s Racing Academy, a new high-octane show experience that’ll bring you face-to-face with the legendary Piston Cup champ. 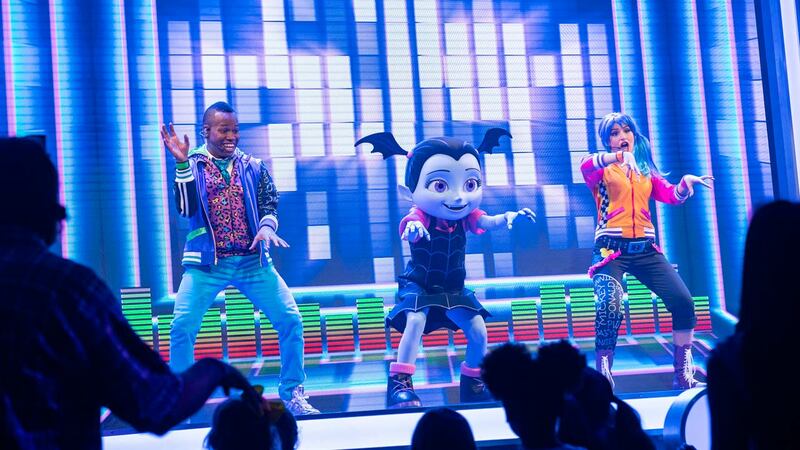 Also at Disney’s Hollywood Studios®, a new Disney Junior Dance Party debuted last month. Kid favorites like Vampirina, Doc McStuffins, Timon and even Mickey from popular Disney Junior TV shows rock out with Guests during this high-energy show that takes place several times throughout the day. Here’s a sneak peek! To mark the 25th anniversary of the original animated film, “The Lion King”, Disney’s Animal Kingdom has come alive with the magic of its story and characters. 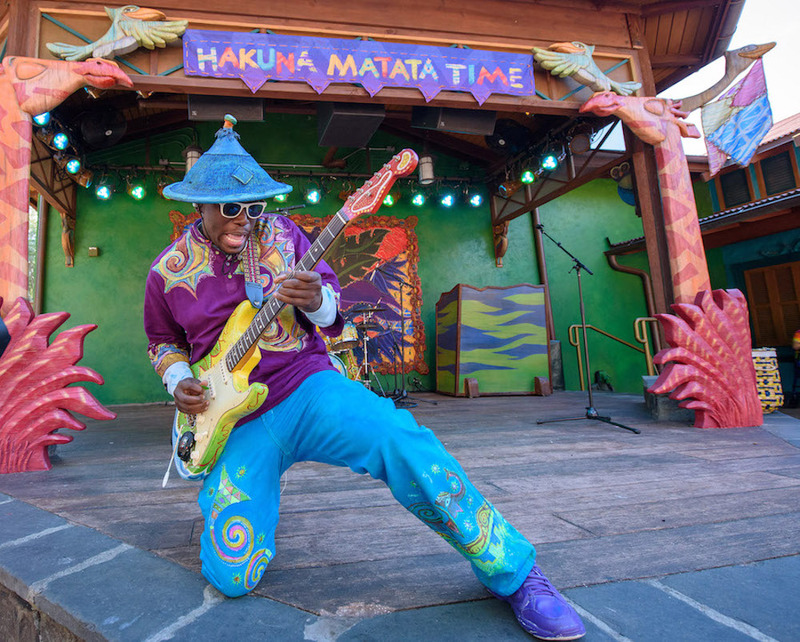 Each day, Discovery Island jams to the Hakuna Matata Time Dance Party, a celebration where engaging party hosts and young adventurers can let out their inner animals on the dance floor. Timon, Rafiki and their Disney animal pals Baloo, Koda, Meeko and Terk stop by, too! Recently, we shared on our Facebook Page the large and exotic bird known as “Kevin,” from Disney•Pixar’s “Up!,” appeared to be migrating north from Paradise Falls to the direction of Disney’s Animal Kingdom® Theme Park. As you can see from this exclusive footage, it looks like she’s been spotted on the park’s Discovery Island! Check it out! Join Mickey, Minnie, Goofy, Pluto and Donald on the top decks of the Disney Wonder and Disney Magic for this fun-filled celebration as you “wave” goodbye to work and school and say hello to your Disney cruise vacation. 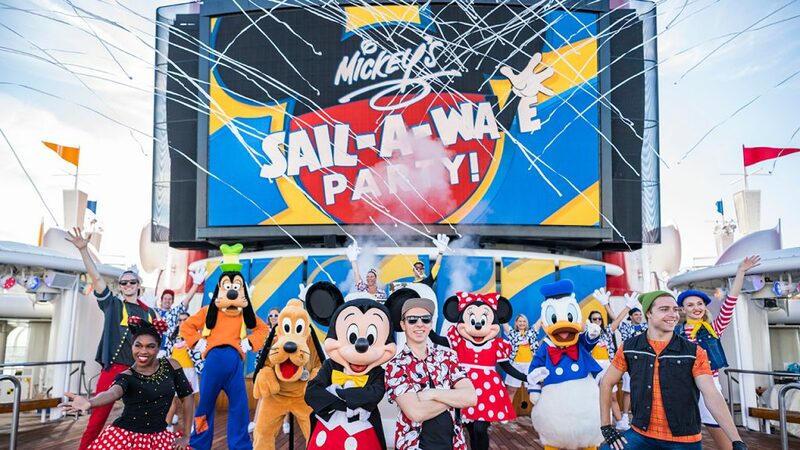 Dance alongside the crew and characters, and participate in the biggest “wave” on the high seas before the official sail-away countdown! It’s an unforgettable way to start your cruise. Mickey’s Sail-a-Wave Party is already making waves aboard the Disney Wonder and will premiere on the Disney Magic on Feb. 22, 2019. Also announced, In 2020, two epic adventures return to Disney Cruise Line’s Disney Fantasy and Disney Magic with limited experiences – Star Wars Day at Sea and Marvel Day at Sea. Star Wars Day at Sea features encounters including Darth Vader, Kylo Ren, Chewbacca, C-3PO and R2-D2. These cruises also feature a full day of Star Wars activities including live shows, Star Wars-themed family and kids’ activities, unique food and beverage and special merchandise offerings. The day ends with “Summon the Force,” a deck party that celebrates the Star Wars universe and caps off the night with a fireworks show of galactic proportions. Marvel Day at Sea features the thrills of renowned Marvel comics, films and animated series. The largest assembly of Marvel Super Heroes and Villains, including the recent addition of Captain Marvel, along with Captain America, Spider-Man, Iron Man and more, highlight an all-day entertainment lineup that includes live shows for the whole family, an extraordinary deck show, Marvel-themed activities for kids and families, special merchandise and unique food and beverage offerings. 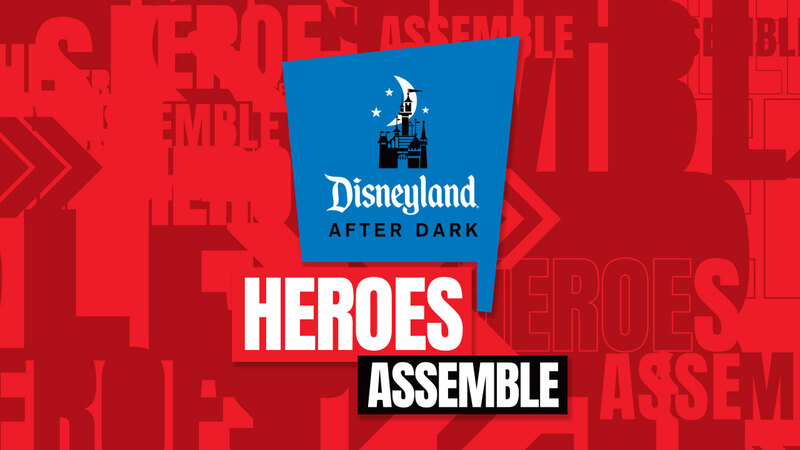 Step into the Super Hero universe during Disneyland® After Dark: Heroes Assemble at Disney California Adventure® Park! This special, after-park hours occasion will feature an action-packed line-up of experiences either April 30 or May 1, 2019 from 9 p.m. to 1 a.m. each night. “Mickey’s Soundsational Parade” is currently making its way through Disneyland® Park as part of Get Your Ears On – A Mickey and Minnie Celebration! This popular parade puts music in motion with Disney characters, performers and two new parade floats. The party features new entertainment, including “Mickey’s Mix Magic,” as well as limited-time decor, food and beverage offerings and festive event merchandise. Take a look! Goofy’s Kitchen: Enjoy an unforgettable meal with Goofy and friends as you create a perfect meal from the wide selection of delicious, all-you-care-to-enjoy dishes at this fun-filled breakfast in the Disneyland Hotel. Plaza Inn: Fans, big and small, will love dining at Plaza Inn at Disneyland Park for “Minnie & Friends – Breakfast in the Park” that also features an all-you-care-to-enjoy spread of morning favorites. Storytellers Cafe: Find the man Mouse himself in Storytellers Cafe at Mickey’s Tales of Adventure Breakfast, located in Disney’s Grand Californian Hotel & Spa. 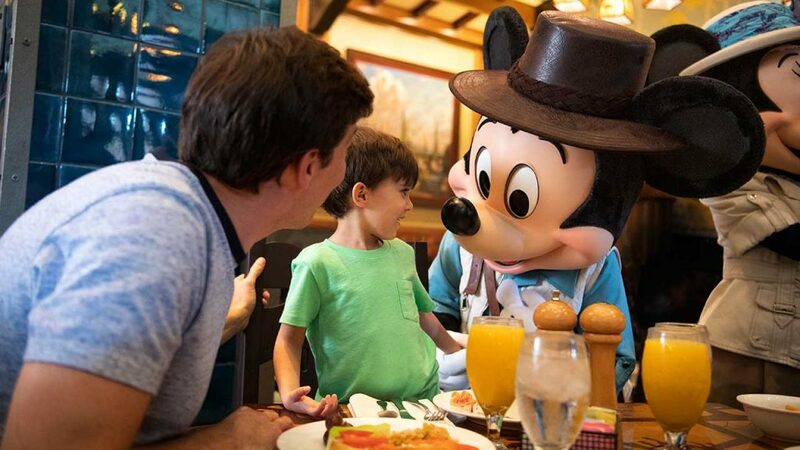 Join Mickey as he welcomes you to an immersive culinary adventure and bountiful breakfast with some of his closest friends. Disney’s PCH Grill: Find the lovable Donald Duck here at Donald Duck’s Seaside Breakfast Buffet in Disney’s Paradise Pier Hotel. Start your day right with a variety of enticing breakfast items. Napa Rose Restaurant: This all-new character dining experience is a fairy tale come true. The Disney Princess Breakfast Adventures is a one-of-a-kind dining event where families can share magical moments with Disney Princesses while enjoying a delectable three-course breakfast. It’s time to Party! We say “Mardi” ….you say “Gras”. The holidays are behind us and Punxsutawney Phil has predicted an early Spring. What a better way to celebrate in 2019 than Mardi Gras at Universal Orlando Resort! It’s Florida’s biggest party and it runs from February 9 – April 4 every night this year at Universal Studios Florida! 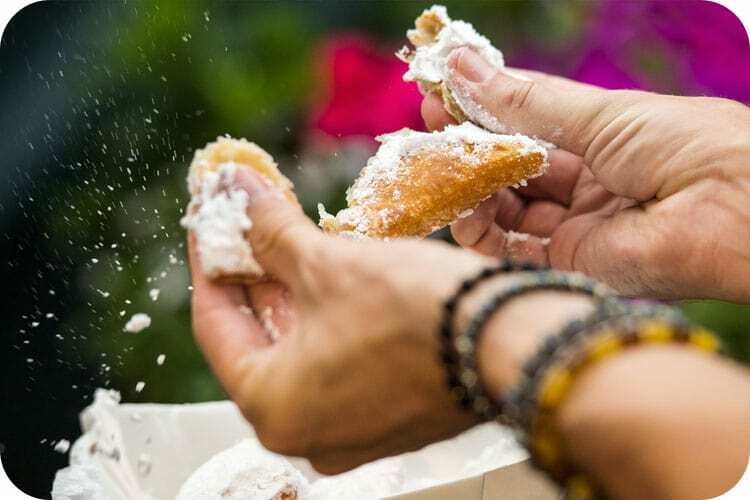 Hungry for a taste of New Orleans? Experience it every day beginning at 4 pm in The French Quarter Courtyard, a space dedicated to “N’awlins Style Food and Spirits”. Some of the bayou’s best, authentic dishes will be available for purchase such as jambalaya, beignets and more — all in tasting sizes so you can sample a variety of Cajun and Creole cuisine. And don’t forget to check out the specialty cocktails created just for this event! Craving some music for your soul? It wouldn’t be Mardi Gras without a parade! Watch the confetti and countless beads fly while you enjoy nightly parades featuring colorful costumes, stilt walkers, dancers and street performers as they get in touch with their “wild animal side”, the theme of this year’s floats. There’s even a special viewing area for petite party goers in the The Little Jester’s Parade Viewing Area, located in front of the Brown Derby Hat Shop. Access is available beginning one hour before the parade starts. You can’t have a great party without great music! On select nights of Universal Studios’ Mardi Gras, catch performances from some of the biggest names in pop, rock, country, R&B and more at the Music Plaza stage beginning at 8:30 pm. Whether you’re spending time with family or enjoying fun with friends, we can help you get your party-animal on by putting together the perfect vacation package for you! Reach out to your favorite Vacations with Character® Travel Professional or request your FREE quote by clicking here! Here at Vacations with Character we treat your vacation dollars as if they were our own and the name of the game is saving money — money you can spend on things like Mickey Ears or that Dooney and Bourke tote you’ve been eyeing! That’s why we are excited to share we have not one, but TWO great new offers for you this morning! 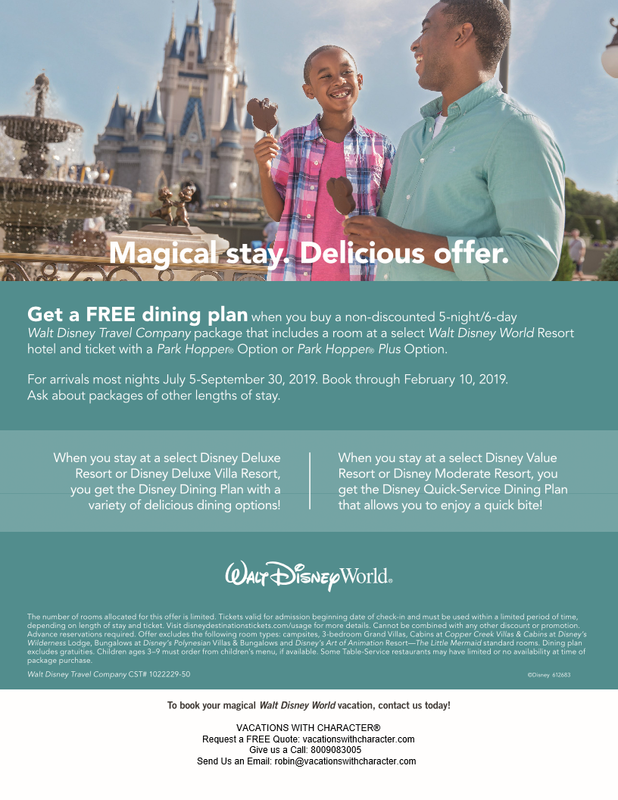 That’s right…FREE DINING is back for a limited time at Walt Disney World Resort. And if your dates of travel don’t qualify, no worries, we may also be able to save you up to 30% on Rooms at select Disney Resort Hotels instead! There’s never been a better time to visit, so contact us today to book your next vacation…but hurry! The number of rooms allocated to this offer are limited. Reach out to your favorite Vacations with Character® Travel Professional or request your FREE quote by clicking here!